The Christkind (German “Christ-child“, pronounced [ˈkʁɪstkɪnt]) is the traditional Christmas gift-bringer in Austria, Switzerland, Germany (in the south and west), the Czech Republic, Slovenia, Croatia, Italy (however only the South Tirol area), Liechtenstein, Luxembourg, Belgium, Spain, Portugal, Slovakia, Hungary, parts of northeastern France, Upper Silesia in Poland, parts of Hispanic America, in certain areas of southern Brazil, Quebec in Canada, and in the Acadiana region of Louisiana. In Italian, it is called Gesù Bambino, in Portuguese Menino Jesus (“Jesus Boy”), in Hungarian Jézuska (“Little Jesus”), in Slovak Ježiško (“Little Jesus”), in Czech Ježíšek (“Little Jesus”), in Latin America “Niño Dios” (“God Child”) or “Niño Jesús” (“Jesus Child”) and in Croatian Isusić or Isusek (“Little Jesus”). The Christkind is a sprite-like child, usually depicted with blond hair and angelic wings. 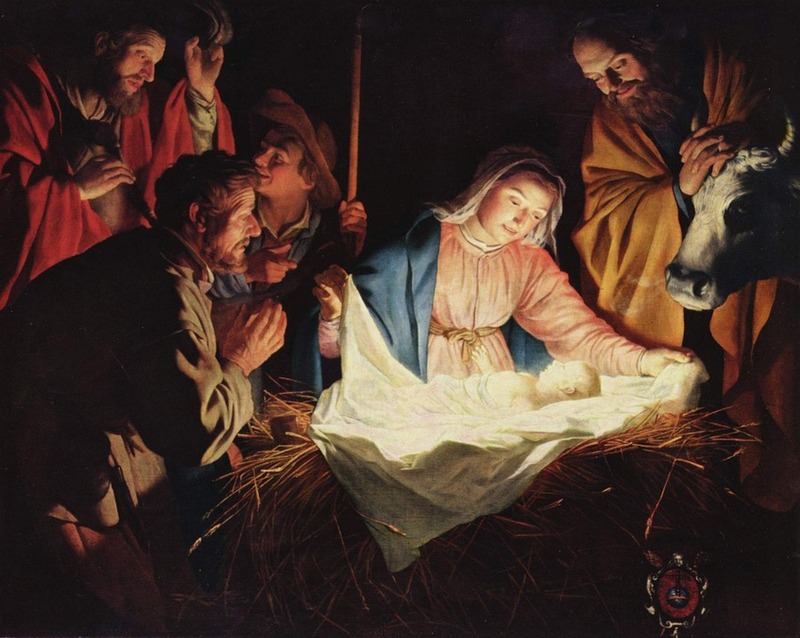 Martin Luther intended it to be a reference to the incarnation of Jesus as an infant (see Christ Child). Sometimes the Christ Child is, instead of the infant Jesus, interpreted as a specific angel bringing the presents, as it appears in some processions together with an image of little Jesus Christ. Later, the Christkind was said to make rounds delivering gifts with St. Nicholas. Children never see the Christkind in person, and parents tell them that Christkind will not come and bring presents if they are curious and try to spot it. The family enters the living room, where the Christmas tree has been put up, for the opening of presents (the Bescherung), when the parents say that they think that the Christkind who has brought the presents has now left again. In some traditions, the departure is announced by the ringing of a small bell, which the parents pretend to have heard of which is secretly done by one of the adults in the family. Now you know better about the Christmas tradition in Austria, Switzerland, Germany, and Liechtenstein, and many other countries. That is the reason why I am already wishing you a very happy Christmas with one of the most beautiful songs performed by a great singer. Wonderful memories you are sharing here, Holly. Yes, traditionally we have real candles on the tree. We used to have only those only some years ago but meanwhile most trees have both and more and more changed to bulbs. But whenever I smell blown out candles it reminds me of Christmas when we were opening the presents and the candles were extinguisehd when the burned down. Did you adapt anything from your German Christmas memories? Having married a German, yes. I’m of Welch descent , we too opened gifts on Christmas Eve, but Santa was a Christmas morning thing. Very cool! This makes your Christmas even more special. Since we lived in the US too we adapted some US traditions too for over here as long as the kids were small. It was lovely!